We perform energy audits throughout the greater Charlotte, North Carolina area and would welcome the opportunity to evaluate the energy efficiency of your home. If you are looking for quality building insulation, turn to us at AppleBlossom Energy. We have been Charlotte’s “go-to” source for insulation since 2006 and offer solutions for both existing homes and new construction. Not only can our sealing services greatly control humidity levels inside your home or business, but sealing your attic, crawlspace, or ductwork can also significantly reduce how much energy your property consumes on a daily basis. As a trained and certified home energy auditor, our mission is to provide you with superior products and solutions that help you achieve real energy savings at your location. At AppleBlossom Energy, we know what a difference insulation can make, and we have experience installing different types of insulation to meet your needs. If you live in Charlotte, North Carolina or the surrounding area and have any concerns about your indoor air quality, or if you want professional advice about how to improve and maintain your indoor air quality. Lower energy bills, enhanced structural durability, higher property value, even room temperatures, and a healthier indoor environment – these are all things we can help you accomplish at AppleBlossom Energy. As an industry leader in home performance contracting, we are passionate about improving comfort, lowering energy costs, and providing a healthier home for property owners. 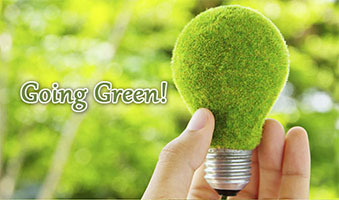 We have been helping people obtain more value from their home by “going green” since 2006. Since every building’s energy consumption needs are different, we provide a wide range of services and products to our valued clients in the Charlotte, North Carolina area. However, we believe that achieving a greener building should start with superior, all-natural insulation coupled with proper air sealing. Our experienced and highly trained crews can install insulation in existing homes as well as new construction, and we can work in both single-family residences and multi-family buildings. Although insulation is a big part of what we do, we also perform energy audits and upgrades needed for homes and buildings to be more efficient, durable, comfortable, and healthy. We rely on building science in order to help property owners fully realize the benefits of energy efficiency solutions. Discover a better home with the sustainable products and services we have to offer. For more information about how we can help you enhance the value of your home while minimizing your energy costs, contact us at AppleBlossom Energy today. As home performance contractors, our mission is to help our clients in Charlotte, NC reduce their energy expenditures. With our sealing services, we can seal your attic, crawlspace, or ductwork to prevent air leaking into your home throughout the year. If you are currently unsure of whether you could benefit from our services, we encourage you to watch out for the following signs. If you are interested in achieving energy savings at your location, we may suggest having an energy audit performed. During this assessment, we will evaluate where air, and therefore energy, could be lost and if your home insulation has a sufficient R-value. We make energy efficiency work in the Carolinas! I want to say thank you all for your help in getting my home to be more comfortable. I really appreciate all of you. I know thank you are just words but I do say them from my heart. Everybody was so nice and worked so hard. I wanted to let you know that we are really pleased with the sealing and the attic insulation work that was performed. It has made a huge difference and I wanted to thank you. Apple Blossom Energy is the best!